$30.00 In stock. Order in the next 5 hours, 49 minutes and it will go out today! In stock. Order in the next 5 hours, 49 minutes and it will go out today! 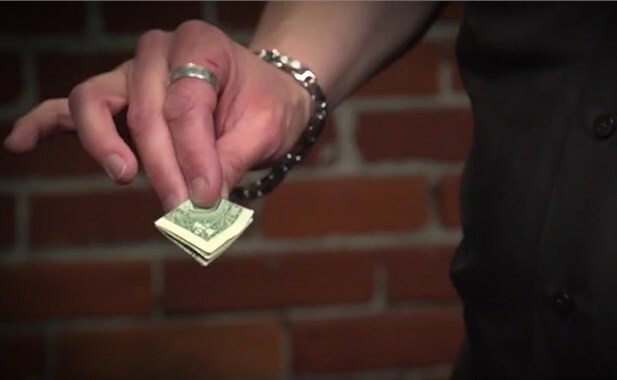 Cool Cash: Two bills, of different denominations, visibly change places between the magician's hand and the spectator's hand. COOL CASH looks incredibly visual, impossible, and clean. Atomic Bills: Two bills, of different denominations, visibly change places between the magician's hand and the spectator's hand. The bills can be borrowed, signed, and you end totally clean. 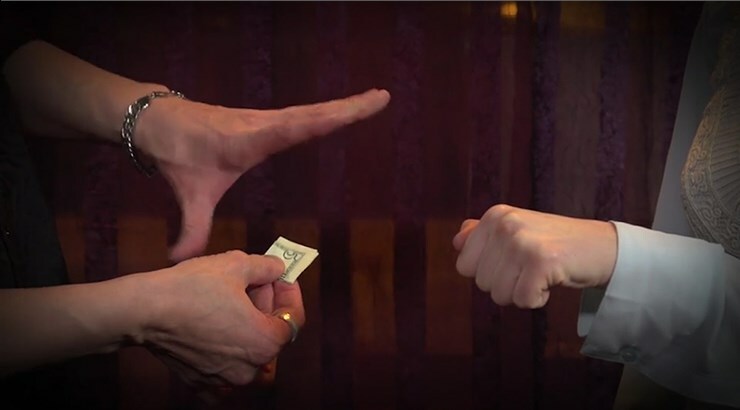 Double Atomic Bills: Two bills, of different denominations, magically change places between the hands of two spectators. The bills can be signed and you end totally clean. Time is Money: Two bills, of different denominations, visibly change places between the magician's hand and the spectator's hand. Then the bill held by the magician vanishes and reappears under the spectator's watch. Funny Money: A borrowed bill visibly changes to any other bill of any denomination or currency. The bill can then be handed out and you end totally clean. 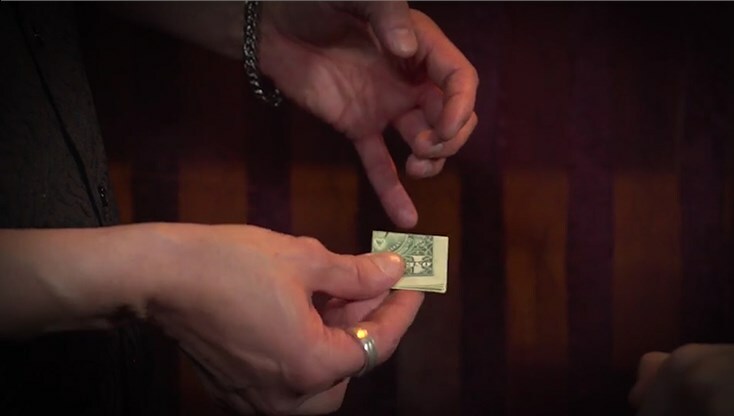 High Roller: A borrowed one dollar bill magically changes into a ten dollar bill; then a twenty; then a fifty; and finally a one hundred dollar bill! You end clean and the one hundred dollar bill can be immediately handed out. PLUS: Homing Bills and the Smack Bill Change. 1) Quality of the DVD is very professional. 2) The DVD is broken down into sections with very clear instructions on how to make the gimmicks, how to perform the effects, with added additional tips. 3) Cool Cash comes with everything you need, except for the dollars and cutting devices. 4) The effects are visually strong and elicit a great response from audiences. 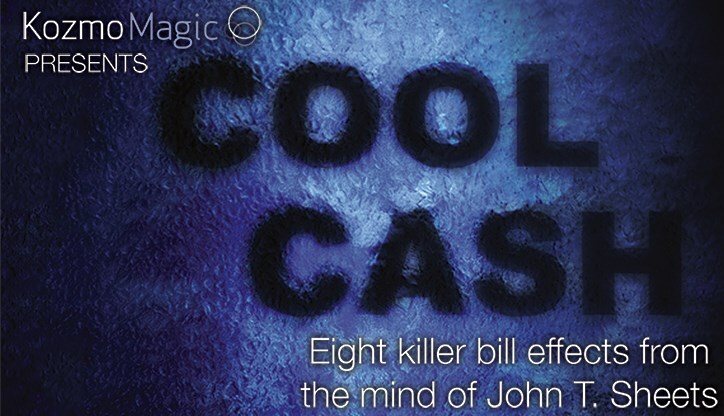 5) You don't get just 8 effects.... combine your creativity with the ideas/gimmicks contained in Cool Cash for a boundless resource of very visual and stunning magic!!! I highly recommend Cool Cash.